Home/Accessories, Women/How to Wear Rings? If you are a dedicated follower of fashion, you will have probably noticed that jewellery has had quite the revival in recent years. Where jewellery was once something that simply added to an ensemble, it is not unusual to now build your outfits around your jewels. We even wear jewellery to the beach, in the form of dainty body chains and anklets. Jewellery has become such a huge part of the fashion world, there are seasonal trends to follow, dictated by the catwalk showings of top design houses. For 2018, one of the top jewellery trends is delicate rings, replacing the statement cocktail rings from previous seasons. So, do you know how to wear rings that are sweet and delicate? 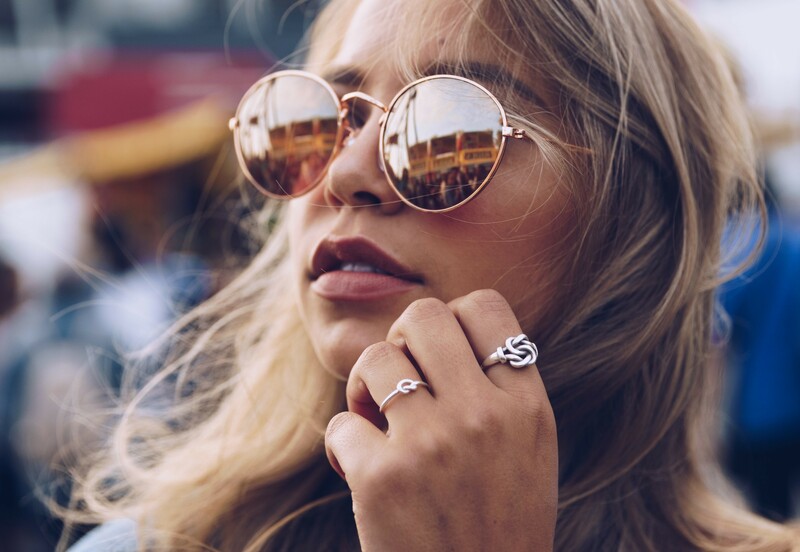 Dainty and delicate rings have such a cool, laid-back style having that Bohemian and festival vibe that is so perfect for summer. But how do you wear rings that are cute and subtle and still make an impact with your finger candy? Well, just because rings have taken a more minimal turn for 2018, it doesn’t mean that you can’t still make a statement. 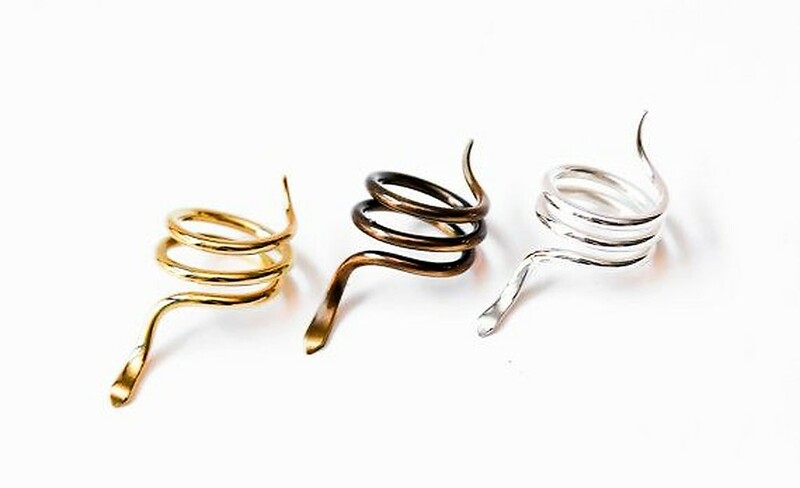 There are a number of ways to wear these dainty rings in summer, which are fun, quirky and effortlessly chic. 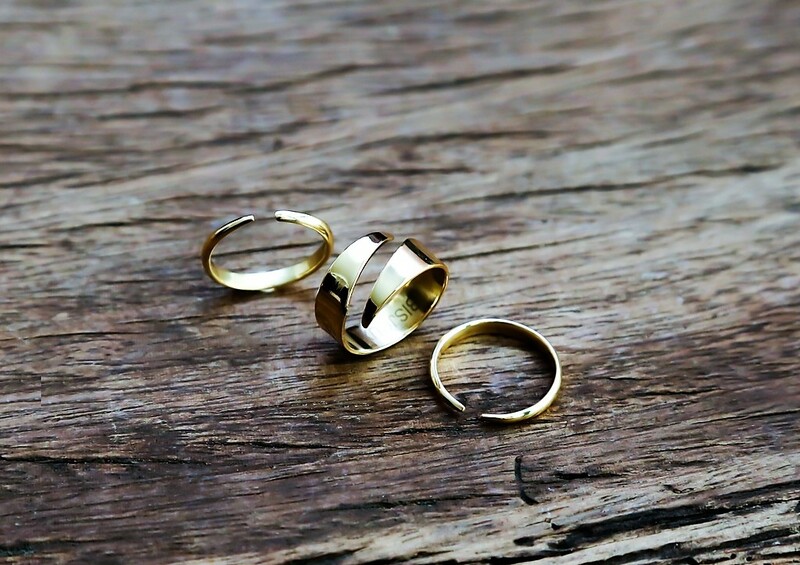 Here are some of our favourite styling tips for rings this summer. If you are inspired by just one ring wearer this summer, make it Lisa Kudrow as her ‘Friends’ character Phoebe Buffay. This quirky lady knew that the key to wearing rings in a joyful, yet stylish way, was to wear numerous midi rings in random places on random fingers. This haphazard approach to wearing rings has an easy, breezy feel that will look perfect when teamed with a boho maxi dress, flat sandals, and layered necklaces. Hippy chic has never looked so good. Another way to wear rings this summer is stacking them the way you might stack bracelets on your wrist. Wear multiple barely there rings in different finishes and textures on one hand for a look that is more than the sum of its parts and is a great complement to evening wear. Or if you want to stack your rings in a more subtle way, chose half a dozen mismatched rings and wear them on different fingers. This minimal styling of simple rings are great for day-to-day outfits, on the beach, and even by the pool on a summer holiday – the ultimate relaxed way to wear jewellery. Kitsch and quirky novelty rings have long been a staple jewellery trend, with first class fashionista Alexa Chung a long time patron. For summer 2018 the novelty ring has been scaled down a little, with large acrylic pieces being replaced with cute metallic rings in simple shapes, such as skulls, snakes, and arrows. When investing in a novelty ring, choose a shape or motif that means something to you and wear it everyday and everywhere. So now you know how to wear rings this summer, which is your favourite? Are you all about novelty, or do you like to wear rings on rings? By Holly| 2018-07-30T13:19:59+00:00	July 26th, 2018|Accessories, Women|Comments Off on How to Wear Rings?